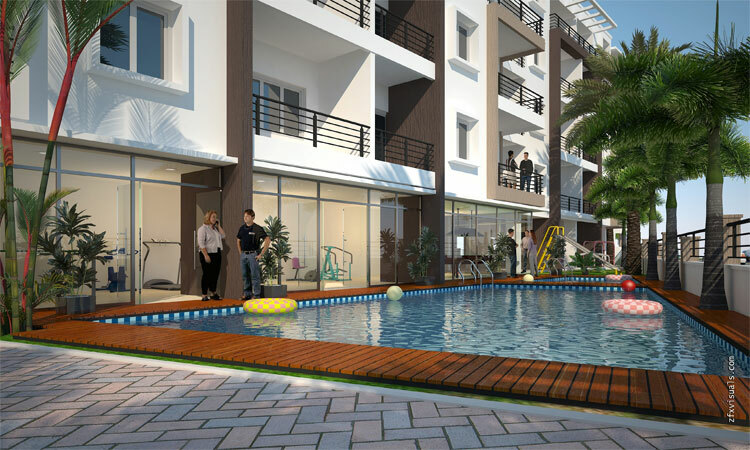 Gr Residency is the major land mark on Hosur main road opposite to Continental Software Company, wears a trendy, with glossy look leading to many IT companies in electronic city and surrounded by many educational Institutions like Oxford, PES & Metro Malls and reputed Hospitals like Narayana Hrudhayalaya, Vasan Eye Care & many more. 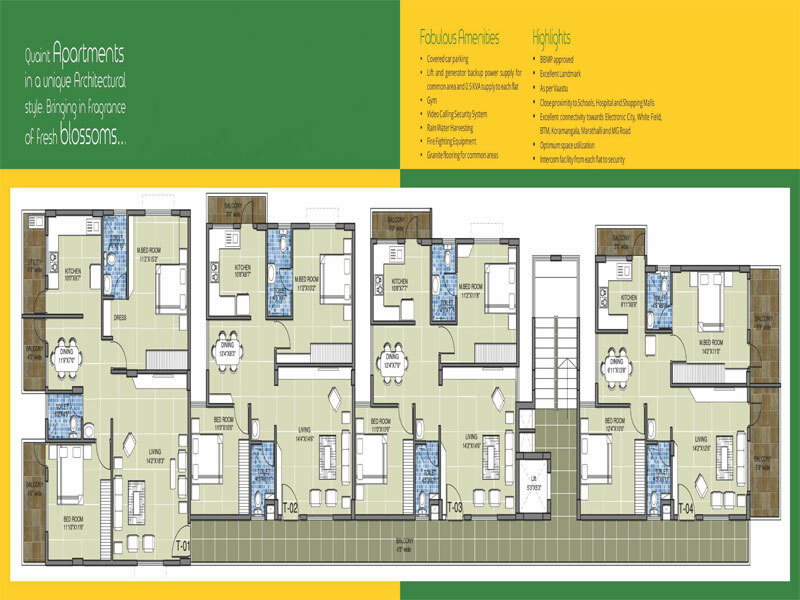 Gr Residency offers you 24 luxurious 2 BHK apartments with super built-up area of 996 sqft. to 1342 sqft. 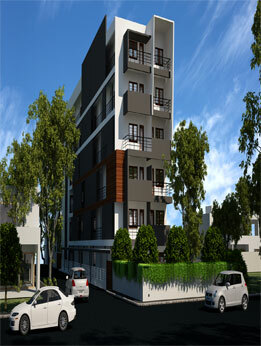 Gr Residency offering you the best amenities that ensure you to spend some quality time with loved ones. 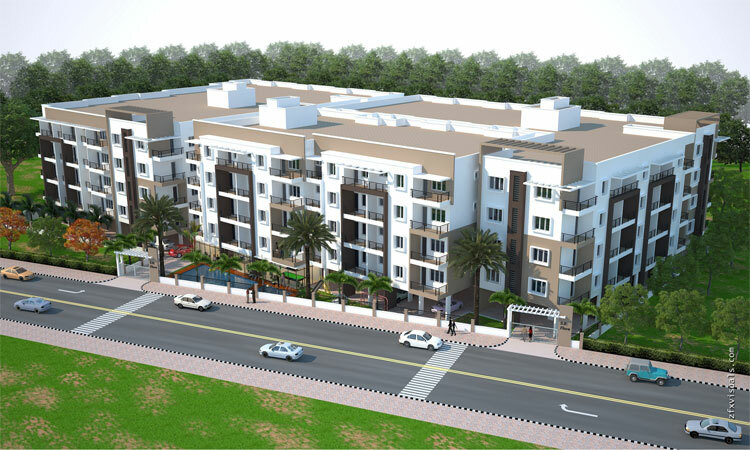 It is located on Hosur Main Road at Kudlu Junction, just 3 Kms from Silk Board Junction and 2 Kms from Bommanahalli Signal. 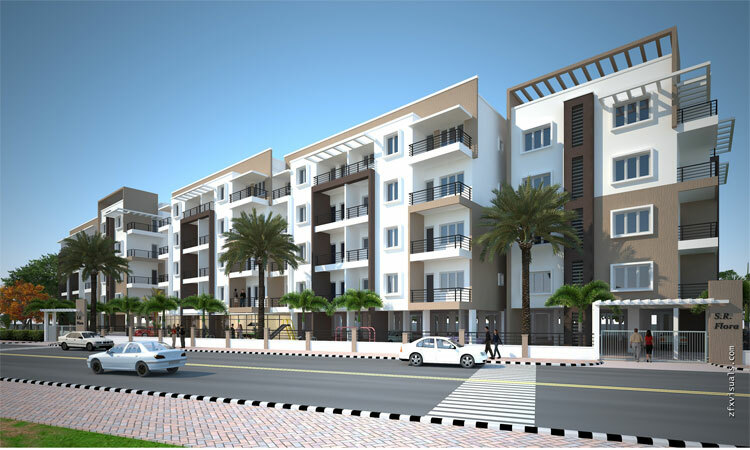 It is en-route to the Electronic City and located in the middle of job hubs, well developed micro markets and social infrastructure. 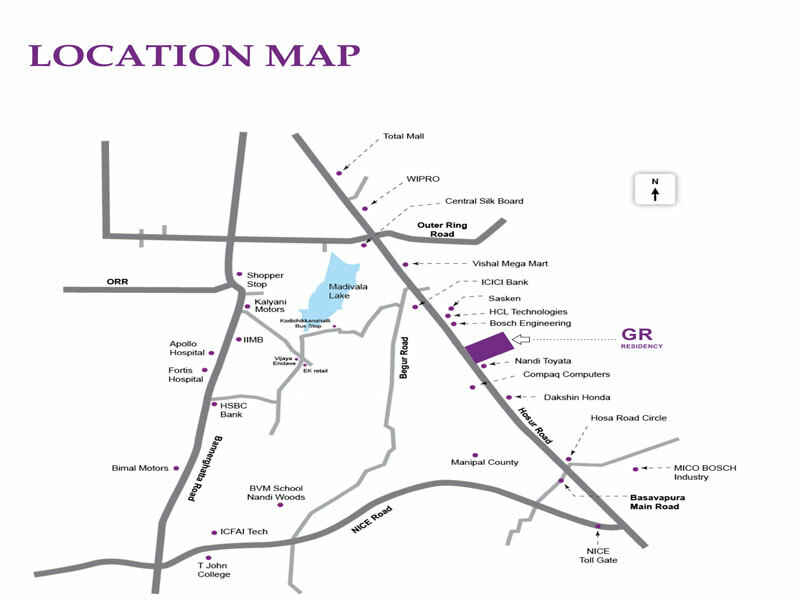 Gr Residency has quick connectivity through the Expressway, the Ring Road and the NICE Road. All of these high end infrastructure leads to everything that matters in Bangalore city. RCC frame structure with 6’’ concrete blocks for outside wall and 4” concrete blocks for inside walls. Sponge finish for external walls and glossy finish for internal wall. Teak wood frame for main door and red Sal for inside doors. The main door shutter will have veneer skin on both sides and flush for inside frames. UPVC windows of German collaboration. Red Rose granite for flats and Leather granite for the common area. Ceramic glazed tiles up to 7feet in bathroom. Floor/wall mounted ceramic EWC with basin and other bathroom fittings from brands like Hind ware. Plastic emulsion paint for inner walls and ceiling and weather proof paint for outer walls from brands like Royal Asian paints. BESOM Power with 3KVA for each flat 500 watts power back up for each flat.